Flaxseed Egg: Flaxseed “eggs” are useful in breads, muffins, waffles, pancakes, cakes, quick breads, cupcakes, fritters, cookies and other recipes. 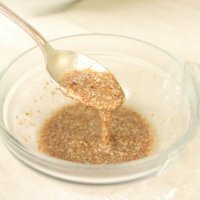 I reference making a flaxseed “egg” in some of my recipes and I am sharing this tutorial on how to do this useful basic. If I am out of eggs, having flaxseed on hand, allows me to bake without eggs. With the soaring price of eggs, using flaxseed in your baked goods allows you to save those precious eggs for your morning scramble instead! Certain baking recipes taste exceptionally well without eggs, for example, when I was working on my Soft Strawberry Scones recipe, I liked how they turned out so well without the eggs, I decided to publish the vegan version of the recipe. It’s Good For You! Health benefits of flaxseed include Omega-3 essential fatty acids, fiber and lignans (which have antioxidant qualities). Flaxseed is beneficial to lactating mothers as well! Subscribe to the LLS e-mail list & Get a FREE eCookbook! You can buy stabilized flaxseed, for example, I like Hodgson Mill Flaxseed and I always keep a box of it in my refrigerator. You can also get whole flaxseed and grind it yourself, using spice grinder or a coffee grinder (make sure it’s cleaned out first!). I prefer to use a simple, small, inexpensive coffee grinder. 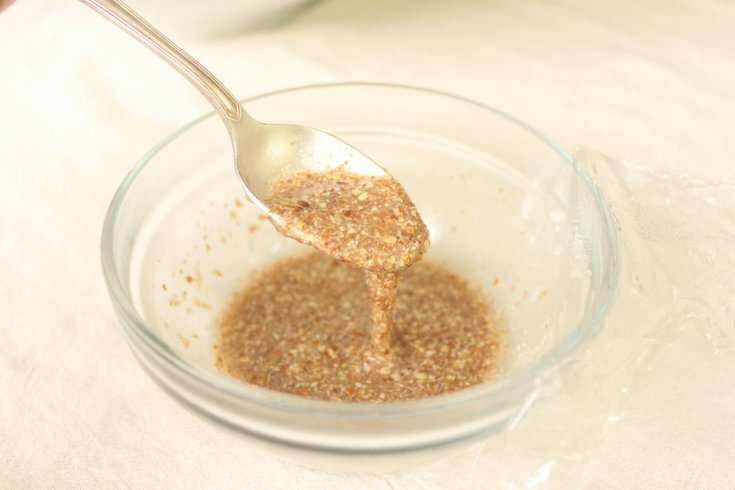 Make sure to use it right away or store it in an airtight container in the refrigerator because freshly ground flaxseed will go rancid relatively, if left out. 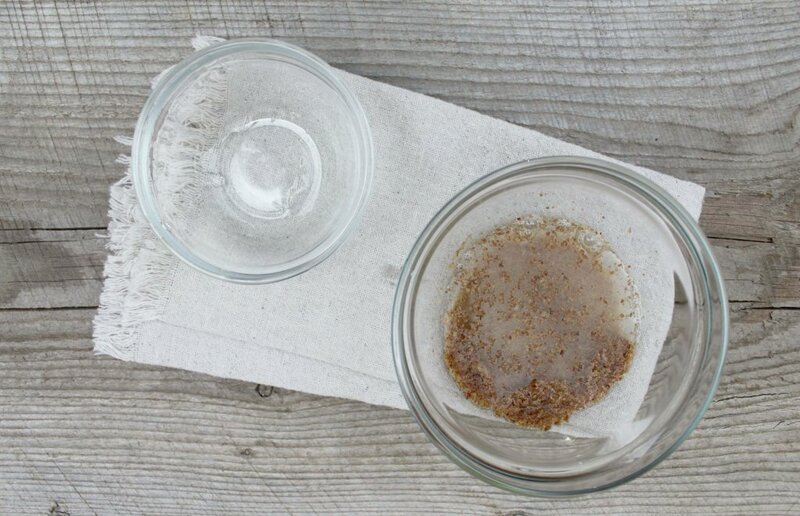 A flaxseed egg, ready to use! 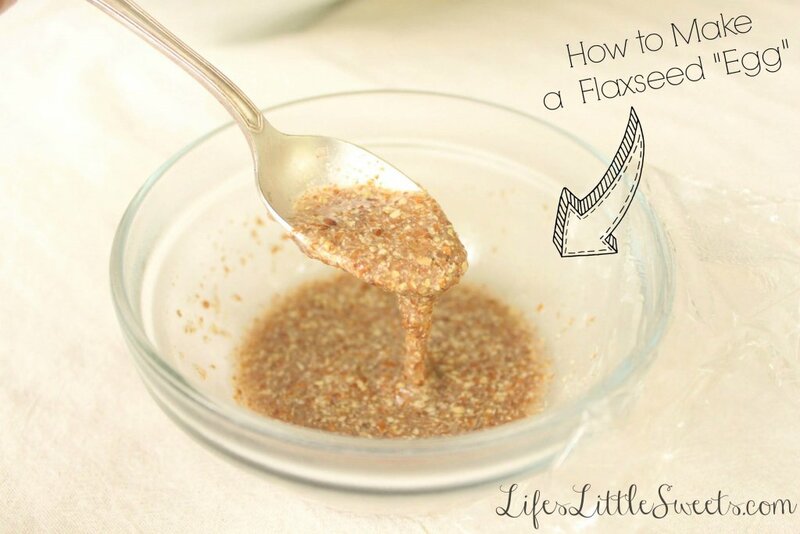 How to Make a Flaxseed "Egg"
Get more flax in your diet! Flaxseed "eggs" are useful in breads, muffins, waffles, pancakes, cakes, quick breads, cupcakes, fritters, cookies and other recipes. 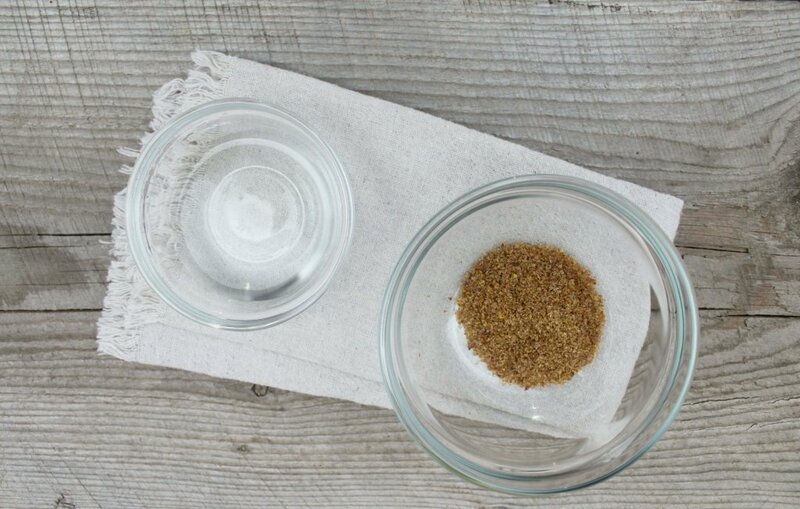 Mix ground flaxseed with water until combined. 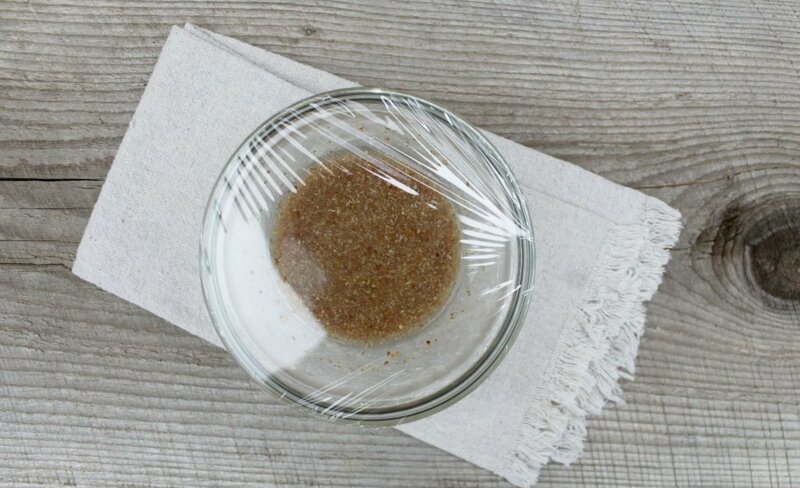 Cover and let sit for 5-10 minutes, or put in refrigerator for later use. 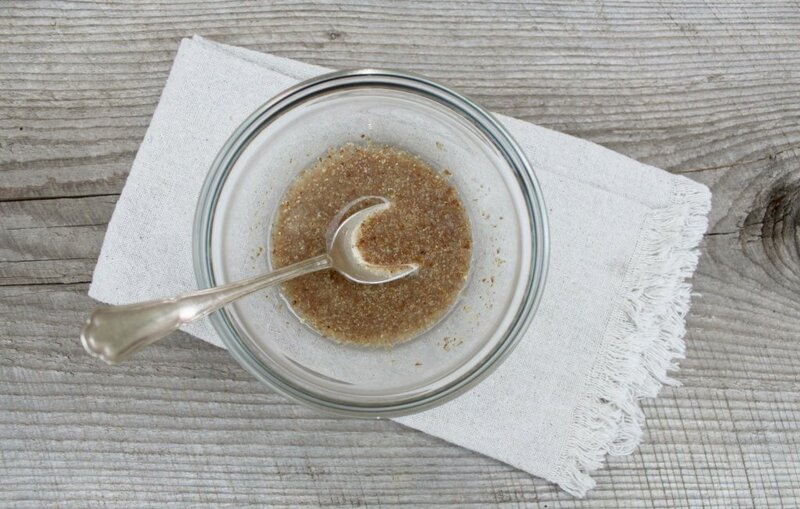 • Flaxseed might change the texture and will definitely have some effect on color of your recipe’s end result. HAVE YOU BAKED WITH FLAXSEED? WHAT WILL YOU BE MAKING WITH FLAXSEED “EGGS”? LET ME KNOW IN THE COMMENTS BELOW! Thanks for stopping by the blog Isabella! We had so much fun didn’t we? Wasn’t it fun eating the cookie dough made with flaxseed eggs?? Let’s make some more! I know right? Thank you Fareeha! I absolutely love using flaxseed eggs! Thanks for doing this nice how-to showing how easy they are to make. Pinned! Hi Gin, thank you, I use them all the time, it’s a nice way to get flaxseed into one’s diet and I do it if I don’t happen to have farm fresh eggs available. Hi Krystal, yeah, that is the added benefit to baking with flaxseed eggs! Thank you for visiting!